Countless Americans are involved in car accidents every single day, and if you’re looking for the best car accident lawyer in your area, you might be one of these victims. If you were involved in an accident because of someone else’s negligent or reckless actions, you may be entitled to compensation for your injuries. At Adams Legal Group, PLLC, it’s our job to help our clients get through difficult times like these. Since opening our firm in 2011, we have been dedicated to helping residents in and around Morgantown, WV when they need legal assistance after an accident. We’re proud to serve communities throughout West Virginia, and we want our clients to know that their legal needs are our first priority. Proving fault is one of the most essential components in any personal injury claim, and car accident claims are no exception. It’s important to understand that you might not be able to collect compensation if you were fully or partially responsible for causing an accident. However, it’s very common for people to think, automatically, that they did something wrong and caused a collision. After careful examination of the evidence, it may become clear that you did everything right in a confusing situation. In order to collect compensation for your injuries, you can file a claim with the liable driver’s insurance provider (or have your car accident lawyer do so on your behalf). These claims are typically settled before anything reaches the courtroom, but if the insurer refuses to pay a fair settlement, your lawyer might advise seeking a judge’s decision. It’s a good idea to meet with your car accident lawyer before filing any paperwork and discuss what you feel comfortable with doing. 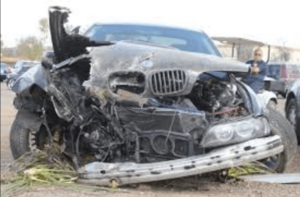 Does my accident justify filing a car accident claim? Many accident victims in Morgantown, WV ask themselves this question after they’ve been involved in a car accident. Quite simply, if you were injured as a direct result of an accident that you did not cause, you have every right to file for personal injury compensation. It doesn’t matter how minor your injuries are, how quickly they heal, or how many times the at-fault driver apologized. Drivers are required to have auto insurance for this very reason. Insurance companies are rarely happy to pay out everything an injured victim deserves, however. For this reason it’s often wise to hire a car accident lawyer to advocate on your behalf. If you’re searching for the best car accident lawyer in Morgantown, WV, you’re likely facing a difficult time right now. At Adams Legal Group, PLLC, we want you to know that you’re not alone. We’ve built our law firm on hard work and dedication, and our clients are a testament to our success. We offer free consultations and case evaluations for new clients, so call us today and set up a time to meet with one of our lawyers. Don’t wait — after everything you’ve gone through, you deserve to have a legal team that has your back.